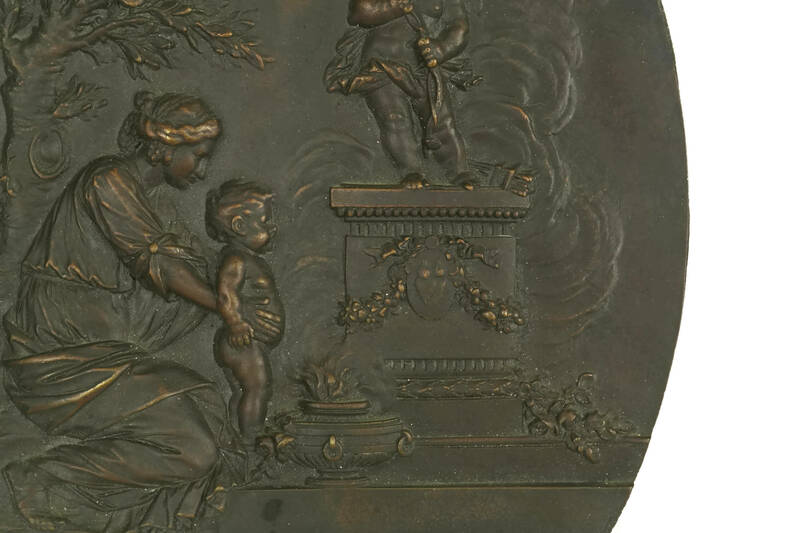 French Antique Bronze Cupid Art Wall Plaque. 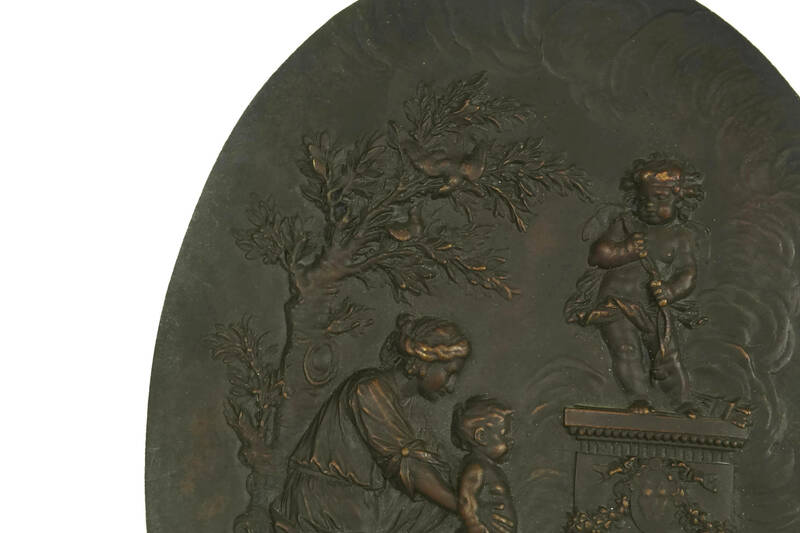 Mother and Child Portrait Wall Hanging with Cherub and Turtledoves. 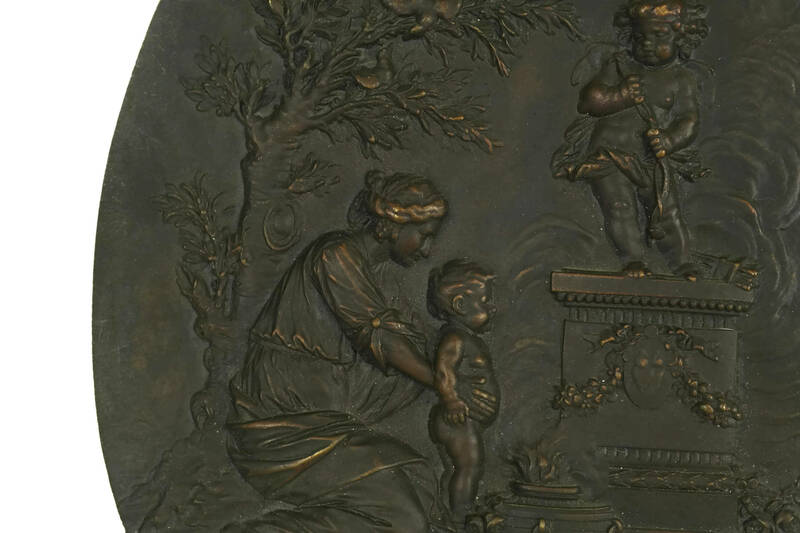 Antique Allegory Art. 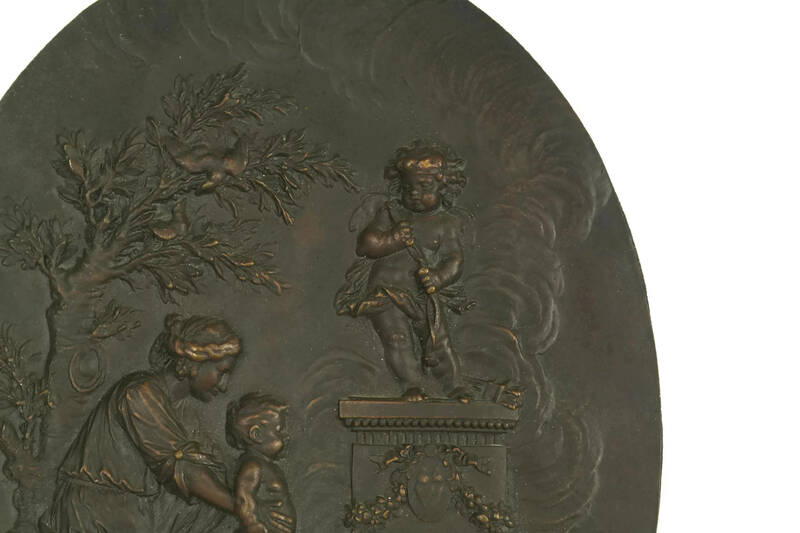 A superb antique bronze wall hanging plaque dating to the late 1800's. 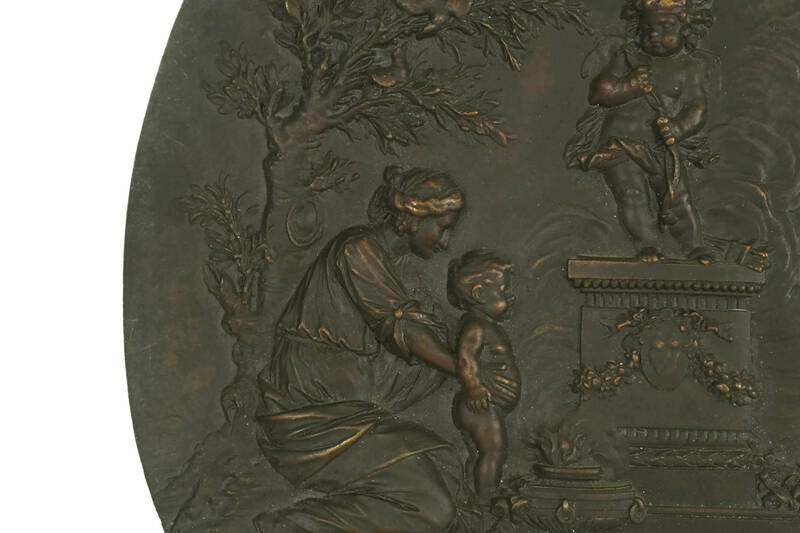 It portrays a charming allegorical scene of Cupid watching over a mother and child. 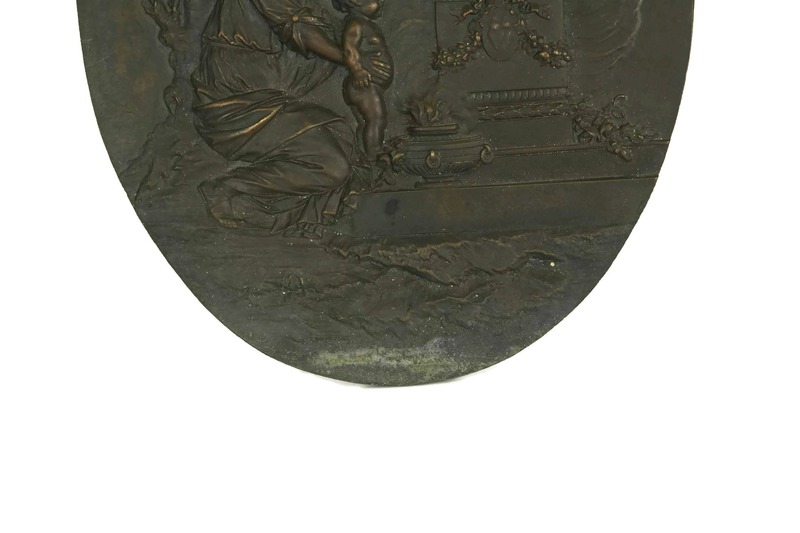 The oval plaque features a mother presenting a young child to be blessed with pure love by Cupid. 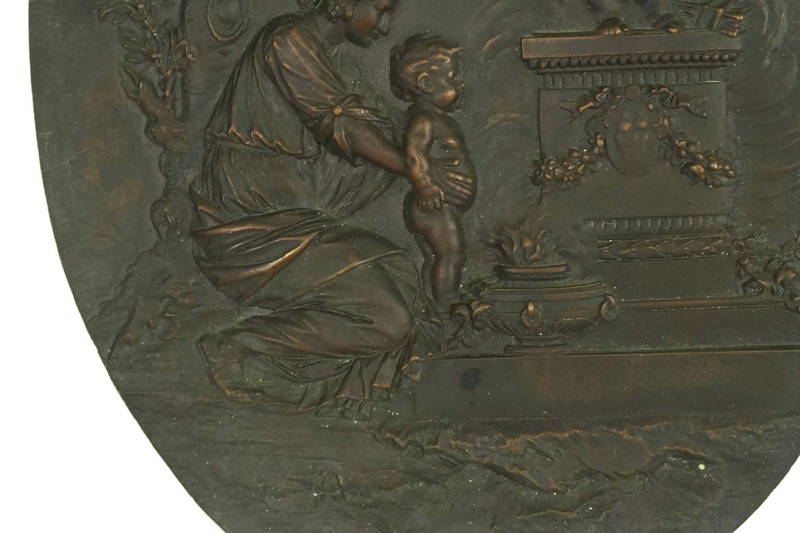 There are charming motifs to reinforce the theme of love, for example a pair of turtledoves, a medallion with two flaming hearts and roses in full bloom. 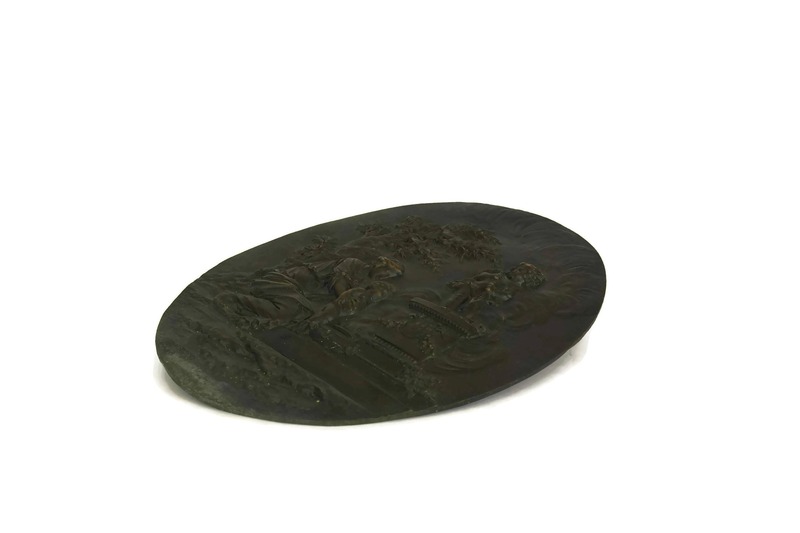 The plaque has been cast from bronze and features a detailed raised relief design with exquisite details and a rich aged patina. 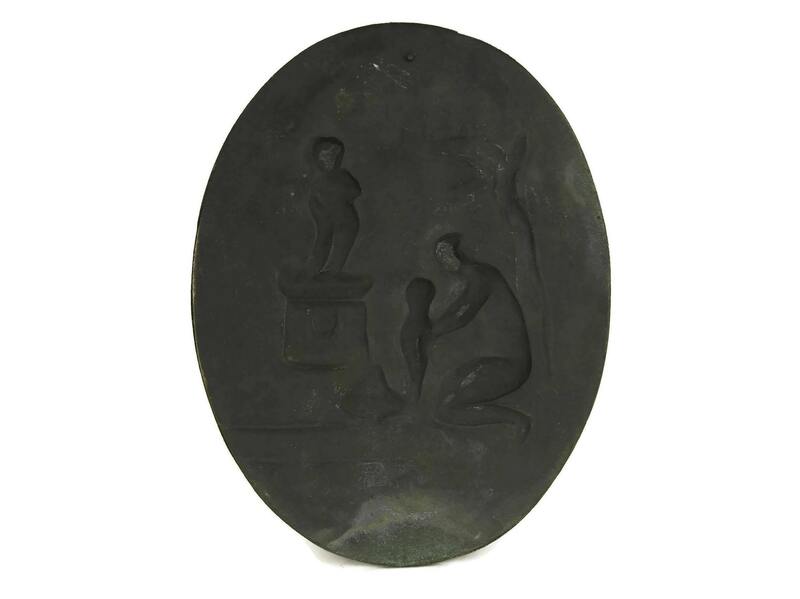 There is no visible signature of manufacturer's mark. 8" Wide x 10 1/4" Tall (20 cm x 26 cm). 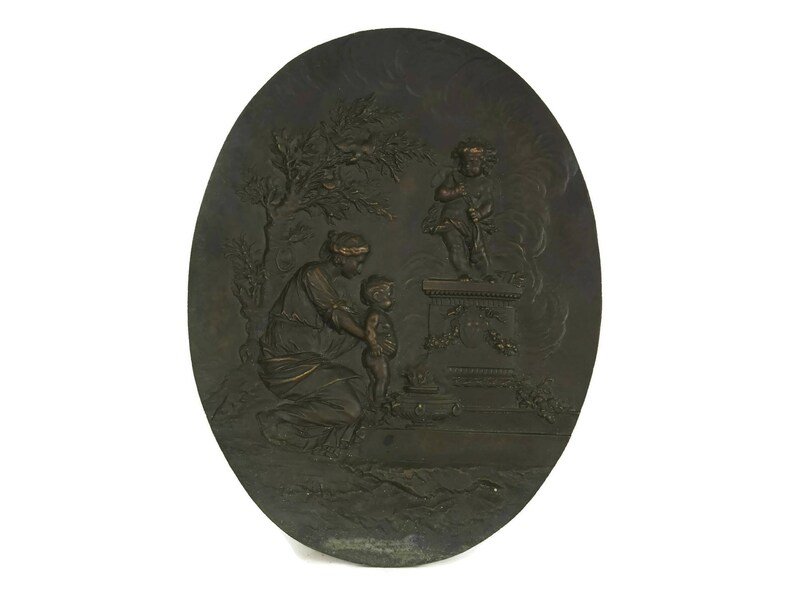 The antique bronze plaque is in very good condition with age appropriate wear including a rich patina.